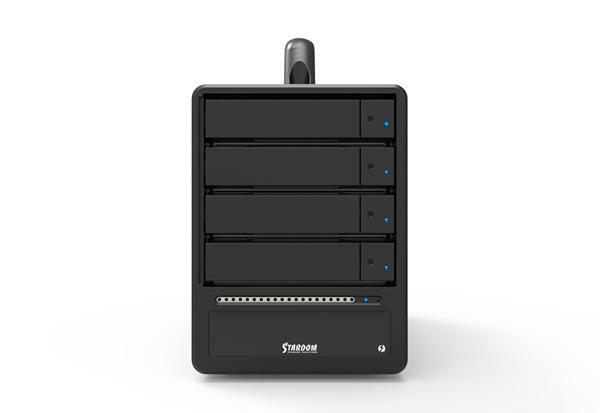 Stardom, a brand from Raidon Technology, Inc., announces Thunderbolt RAID storage - SR4-TB2 and SR8-TB2 at NAB show 2017, coming with Thunderbolt interface and hardware RAID chip inside. 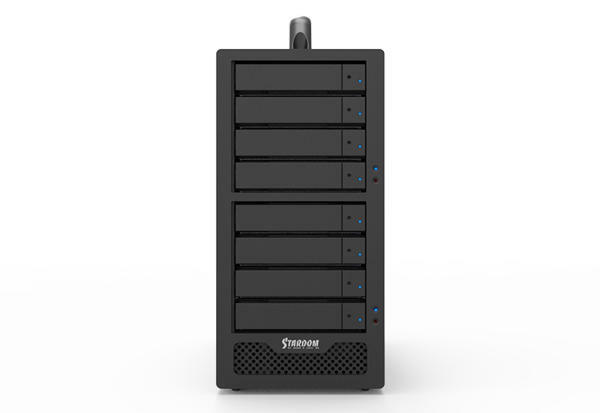 Stardom SR4-TB2 supports four 3.5" or 2.5" HDD or SSD and SR8-TB2 supports eight drives. Both models come with dual Thunderbolt 2 ports, the data transfer rate will be 4x faster than USB3.1. It also supports daisy chain to let you connect up to six Thunderbolt devices through one cable. Embedded one hardware RAID chip inside, SR4-TB2 supports the RAID level - RAID-0,1,5,6,10 and JBOD, and SR8-TB2 supports RAID-0,1,5,6,10,50,60 and JBOD. With user friendly GUI, user can set the RAID level depending on the application and monitor the storage status. Once the RAID is degraded or failure, SR4-TB2 and SR8-TB2 will not only provide buzzer alarm notification but send email to user. SR4-TB2 and SR8-TB2 support Serial General Purpose Input and Output (SGPIO) function. Once there is one drive damaged, user just needs to click the 'light on' function on GUI, the LED of the damaged drive will lights on automatically to let the user know the location of the failure drive. It's easy for user to replace the failure drive. For those users who need low-noise work environment, SR4-TB2 and SR8-TB2 provide the fan speed control switch at the rear side. User can set the fan speed manually to full speed or half speed to reduce the fan noise. Both products are certified for Mac and Windows and ready to ship at June, 2017.